Summer is just about over and all the sceduled reunions are over, as well. It is back to school! Opps!!! I doubt many of you former Thundebirds still have kids in school.....probably Grandkids. 1. I am hoping that I am responding to the Thunderbirds. One of your comrades in action has left us. Robert "Bob" Konopka passed away May 7th from lung cancer (The VA says Agent Orange exposure.) Bob died after a brief battle with lung cancer at his home in Weeki Wachee. 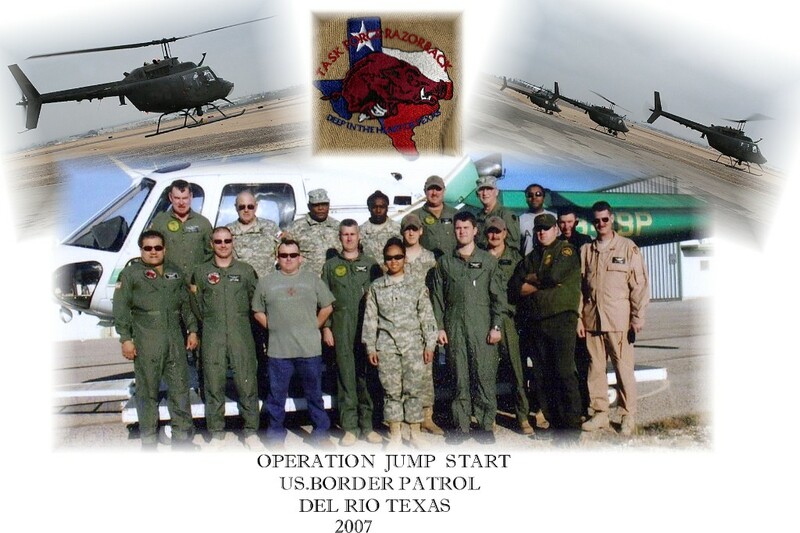 He was commissioned as a warrant officer and assigned to Southeast Asian Combat Unit 118 AHC as a helicopter pilot. His tour of duty was served in Vietnam from July 1968 to June 1969. His was very proud of being a Thunderbird. I know he was looking forward to the reunion. This is his wife. I am sorry so much time lapsed before I could respond to this email. I have not started his computer since he passed away. The world has suffered a tragic loss. His famous moustache, his quick wit, and his impeccable knowledge of aviation will be missed by all. deployed to Vietnam. Do not have Email adress. Please feal free to write me at home. 6012 Poplar Rd. Albany GA. 31705.
love to hear some old stories. Thank you. Disabled Veteran, CPL, Blackhawk Crewchief 1992-1999.
existed but am thankful he found it. It has stirred powerful memories for me and has helped my son understand better about this portion of his grandfather's life. Thank you. 67.I crewed Blue 2 and Blue 9. Look on Page 3 for a wonderful photo of "Miss Mini" being loaded on a flat-bed trailer for transport to a showing. Thanks for the headsup Dave and the link. I probably missed something with this Thunderbird Update. Seems I hear from someone several times a week. I try to file them and save those contacts and items for the next update. This Thunderbird Update will be posted on the Web site, also. So, until next time.....Thanks to one and all. Time for a Thunderbird Update and to tell you what is going on in the lives of some of our "ole Thunderbirds"!! And you need to be aware of some things happening that involve us and our legacy. 1. 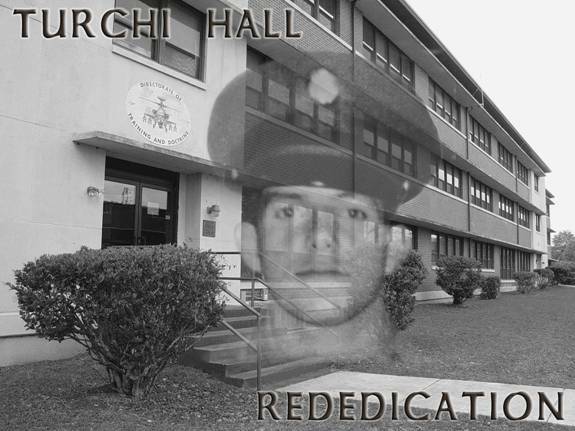 An especially important event to take place will be the re-dedication of "Turchi Hall" at Ft. Rucker which was named a couple years ago in honor of 118th Thunderbird and Bandit Crewchief, SP4 Louis Turchi, KIA in Vietnam, Oct 14, 1966. SP4 Turchi was from Philadelphia, PA. When the building was originally named Turchi Hall, there was a dedication. However, there was very little available, as far as memorabilia is concerned, to make a proper display. Recently, there was a box of family donated items, including his Vietnam helmet, found stored with other items at the Ft. Rucker Aviation Museum. Also, several other items have been donated to allow DAC Michael Greenwood to create a wonderful display near the first floor entrance to the building in his honor. They would especially like for some guys who knew Turchi to attend the event. 2. The 145th CAB reunion will be held this year at "Mother" Rucker, AL. Dates are June 22, 23 & 24th. Plan to attend this reunion because there should be a good crowd of guys, both EM and pilots from all the units of the 145th. In the past, our Thunderbirds have usually had the most attendees. Please go to the 145th CAB web site for the schedule and to sign up. Their web site is www.145thcab.com then when you get to their web site click on "Reunion". 3. Another event to take place near Ft. Rucker, AL, and hopefully at the time of the 145th CAB reunion in June, is the dedication of a "Huey on a Stick" at the Andalusia/Opp Airport. What makes this special is that the Airport Manager is a former Thunderbird, Bill Benton. And, this Huey is the one that Bill and his close friend Bob Kelley were in when Kelley was wounded at "LZ Gold" on March 19, 1967 during the Battle at Soui Tre. No definite details available, but they will be forwarded to you when known. 2. A guy named Seitz contacted me with this email.... "this is doc also served with 118th as doorgunner would like to have contact with you. can be reached at my email address of tbirdsgary@yahoo.com or my wife's at newburryseitz@yahoo.com looking forward to hearing from you as soon as possible." 5. Ken Collins wrote an email to tell of his efforts to memorialize the memory of Richard P. Bubar, the 118th enlisted guy who was killed in the mortar attack on the Bien Hoa Airbase on in 1964. The Thunderbird Day Room was named his honor. " Hello Sir, First and foremost, I want to extend my sincere gratitude to you for your incredibly comprehensive website honoring the men who served at Bien Hoa. I am am 29 yrs old and never had the pleasure of knowing my uncle, Richard P. Bubar, who sevred as a mechanic and died during the '64 mortar attack at bein hoa air force base. I was fascinated to learn more about the mortar attack on bien hoa air force base, like the fact the 52mil mortar rounds were US made. I was also heartened to see the Richard P. Bubar day room photo on your first page of the website. From what the US government told us Richard spent his last moments retrieving soldiers from the barracks and leading them into foxholes nearby, saving many lives. The Richard P. Bubar day room photo adds credence to Governments accounts. In Ricard's memory I am amassing as many photos of him as I can for archival purposes. I'd like to share those photos with you, as there are many photos detailing the base and regional life. In exchange I'd like to ask for a favor if I may. I'd like to receive any contact information of people who might have known Richard, like David Vandenberg who submitted the Day room photo on your front web page. Maybe a short blurb on your web site with my eMail address may turn up results. I understand this favor may prove impossible or too daunting. I just would like to know more about my uncle during his military days before its too late. Another option: I'll also check to see when the next thunderbird reunion is. 6. Robert "Bob" Rose sent this email....."I was assigned to the 118th during the period above. I really learned how to fly in this short period. There weren't that many strong D models and with the weaker ones you had to really "baby" them to get what you wanted. I was assigned to the Blues and two AC's that really took me under their wing were CWO Tom White (later commissioned) and CWO Bill Blair. With these fine pilots I learned three corp arty zones and other critical issues. I flew smoke on several occasions and might have some pictures of the smoke ship when I was a PP slick driver. These two ppilots flew lead on many occasions and I was blessed to fly with them. The day before Thanksgiving 68 We lost one of the Bandits, CWO LaRoque (SP) and two others lost their lives and the fourth was taken into Cambodia, left for dead, but survived. Bill Blair and I went back to the Bird Cage and brought back the Thanks giving dinner for the team at Tay Ninh city strip. The left overs we took out to a SF fire base west of Tay Ninh. Thank you very much for your time!!!! And God Bless you and all of the former soldiers of the 118th. Lastly, Wayne Guffy sent me this URL that will give you a look at old Ft. Wolters, TX.....Then and Now. If you have not been back to the old Primary Helicopter training place since your training there......it is SPOOKY! Please tell me when you change your email address and if you have any questions about this update, please email me. Thanks again and see 'ya at a reunion.